Ottawa is a treasure trove of history, and so, too, are its national museums. For The Big 150, we asked curators to select one rare or unsung artifact from their permanent collection that tells a compelling story about Canada. Why did you choose this object? Even with the adoption of the automobile, lack of good roads and snow clearing in winter limited how far many Canadians in small or isolated communities could travel. The B-7 is evidence of this problem and its first commercially viable solution. Its creator, Joseph-Armand Bombardier, was a talented small-town mechanic with a gift for invention and adaptation. He was also keenly aware of the limitations of automobiles on unplowed country roads and thus saw the need for a vehicle that could travel reliably over snow-covered terrain. Between 1926 and 1936, he devoted most of his spare time to creating such a vehicle. In 1936, after much building, testing, and rebuilding, he introduced the B-7 — B for Bombardier and 7 for the number of passengers it could carry. Why is it important to Canadian history? Canadians may make a sport out of cursing winter, but most of us believe that the cold, snowy weather is part of our identity. So symbolically the B-7 is the ultimate Canadian vehicle. 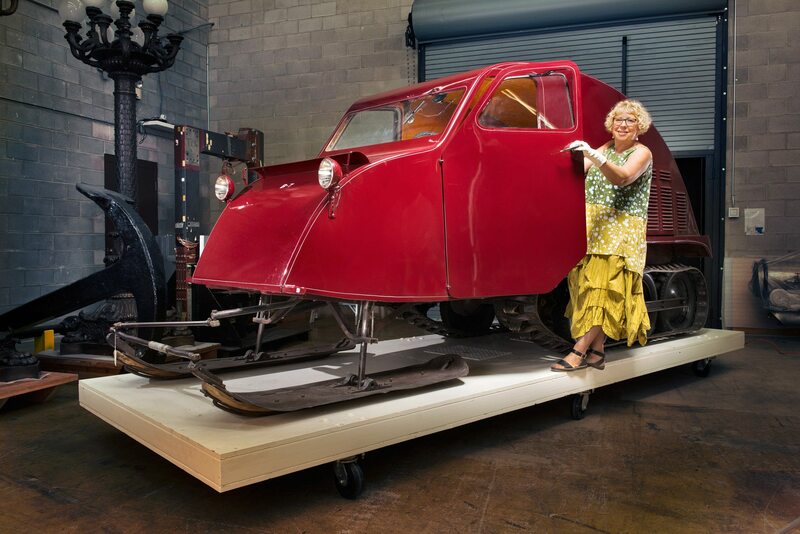 That it was a forerunner of the personal snowmobile only adds to its “Canadian-ness.” For Bombardier, symbolism was the least of his concerns. He and thousands of others living in small or isolated communities in the 1920s and 1930s had to deal with the harsh reality of winter and the limitations it placed on their mobility. Article originally printed in The BIG 150. 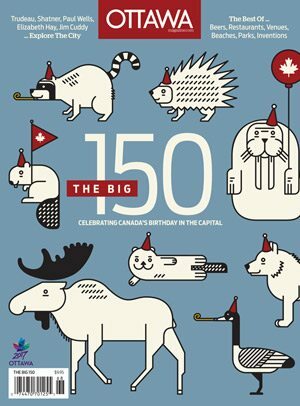 Get your copy of this special keepsake publication celebrating Ottawa’s place in the nation’s 150th birthday.